You can’t forget to keep regular maintenance on your awning. 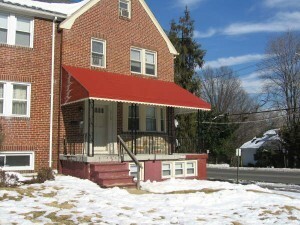 Having an awning attached to a part of your home is an incredible benefit. From the energy it saves to the attractiveness it adds, awnings have it all. There are ways this effectiveness can be halted though, as a variety of outside factors can impact the fabric. No product is ever without deterrents, but you can easily protect against these common problems. It’s the combination of enjoying your awning, but also being diligent in your regular maintenance. The point of an awning is to protect from the dangerous rays of the sun.The UV rays are powerful, but your awning blocks them when they come into contact. The part that’s forgotten is, well, just how powerful these rays can be. The heat can cause general wear and tear on your awning fabric, which can make it less effective.To prevent this from happening, you just need to keep a close eye on your awning and how much it’s absorbing. Especially on the east coast or in the pacific northwest, rain is definitely an issue. On the opposite end of the spectrum from the sun, awnings also shield us from rain. The primary function of the awning in this situation is to direct the rain away from the home. If the awning is capturing it rather than directing, it’s a sign of trouble. This could cause quick malfunctions, and it’s a signal that your awning was poorly designed or installed. If we’ve listed rain, surely snow is to follow. With snow, it’s pretty clear that buildup is the biggest threat to effectiveness. Whether it’s a small shower or a large storm, snow can easily pile up on your awning. The key is to simply not let it get to that point. By letting the snow pile up, you’re risking yourself to rips and potentially a collapse of the awning. The easiest solution is to brush off the snow in increments as it comes down, that was it’s not a strenuous hassle. The last thing you want is a pile up of snow that leads to a collapsed awning, all because you didn’t take the time to clear the buildup.